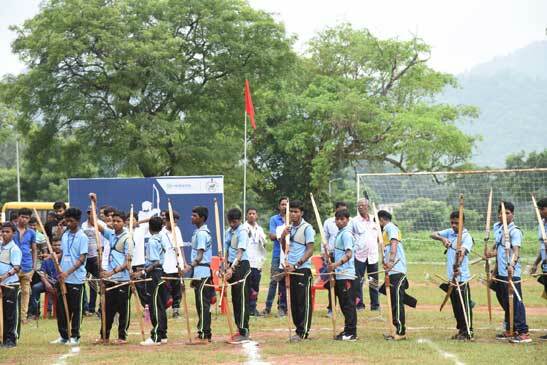 Lanjigarh: In its endeavour to bring forth the traditional sports and talent of the region Vedanta Ltd Lanjigarh has organized the first KBK district-level Archery competition 2018 in collaboration with the district administration of Kalahandi. 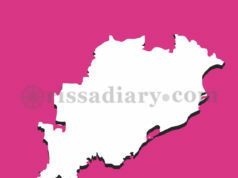 Around forty six school children hailing from the five districts of Balangir, Kalahandi, Subarnapur, Malkangiri and Rayagada have participated under the juniors and sub-juniors category. The competition commenced here today at the Vedanta township playground with traditional puja and much fanfare and show. Present during the inaugural function held in the morning Dr Balabhadra Majhi, MLA Lanjigarh and Chairman Planning Commission board, Kalahandi and chief guest of the day appreciated Vedanta for taking such a grand initiative of organizing archery competition that squarely touches the traditional sentiments of the region. Encouraging the participants, Mr Sanjeev Kumar, Chief Transformation Officer, Vedanta Lanjigarh reiterated company’s commitment to continue create such platforms that engages the community. 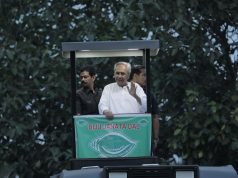 He applauded the students’ active participation, while appreciating the representation and contribution of the districts and students in the programme. Present among others during the inaugural function were Mr Subhashis Nayak, District Sports Officer-Kalahandi, Mrs Tulasi Nayak Block Vice-chairman Lanjigarh, Ms Mani Majhi, Sarpanch-Lanjigarh, Mr Sridhar Pesnia, President-Lanjigarh Anchalik Vikas Parishad, Mr Rajeev Ranjan, Head Security, Mr Shivanand Mohanty, Head-PR and Corporate Communication, Ms Harmeet Sehra, Chief Community Development Officer, Mr Mahendra Kumar Raut, Head-HR, along with other senior company employees. The competition held during the day was coordinated and conducted by the District sports Officials and Vedanta officials. Over the course of the day, the set of activities included 40 meter competition for the junior level and 20 meter and 30 meter competition for the Sub-Junior level.